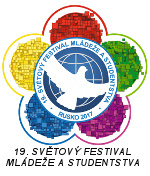 The KSM has entered the year 2013 with the results of its last 10th Congress which was held on December 1st, 2012 in Olomouc. It was the first Congress of our organization since the extraordinary legalizing Congress organized immediately after the defeat over the ban of the KSM in 2010. One of the most important outcomes of the Congress was an Appeal for the building of the antiimperialist anti-war movement in the Czech Republic. The antiimperialist struggle has been and is one of the pillars of the work of the KSM. We are waging campaign especially in defence of Syria, Cuba and Venezuela. 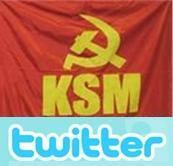 The KSM organizes meetings with the people, for example meetings where the KSM's delegate, who attended the solidarity mission in Syria in 2012, informs the public about the imperialist war against this country. The KSM has also created a special facebook page for the defence of Syria and actively participated at demonstrations in this cause. The KSM's activists also directly confronted a so called dissident blogger Yoani Sánchez at public debates during her anti-Cuban tour in the Czech Republic in March 2013. 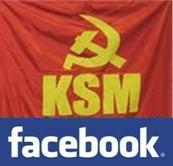 The KSM closely co-operates in these struggles with Society of Czech-Cuban friendship and with Czech Peace Movement. We have participated at social struggles against the current right-wing government and its anti-popular "reforms", including great trade union demonstrations in Prague attended by more than 100 000 working class people. Together with a student union called SOS Student the KSM has been active at a campaign against the introduction of tuition fees at public universities and a representative of the KSM has delivered a commentary speech at the petition committee at the Parliament of the Czech Republis on this issue. The KSM has participated in struggle for basic democratic and human rights, such as in the case of a young bus driver Roman Smetana, who was sentenced to imprisonment on the ground of a legal accusation raised by the government party ODS for making drawings on the election posters of the parliamentary parties. This legal case has uncovered a crude reality of our country where a citizen may be imprisoned for drawing feelers on the heads of parliamentary parties politicians. The young Communists have been present at recent period of time in struggle against so called church restitution, i.e. granting more than 96 bil. CZK to the churches, a vast majority to the catholic church. This bill of law was unfortunately passed in the Parliament meaning an incredible robbery of the national wealth and bringing this process of the expropriation of the people of our country launched in 1989 almost to completion. The most recent initiative of the KSM has been a creation of the Czech preparatory committee for organizing a delegation to the 18th World Festival of Youth and Students in Ecuador.